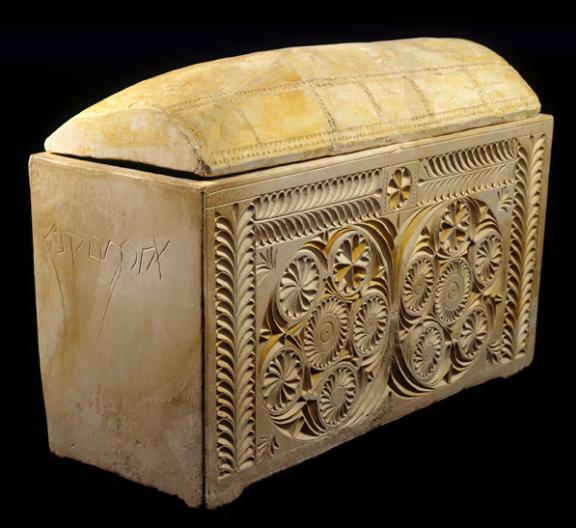 The Caiaphas ossuary. Israel Museum, Jerusalem. Caiaphas' bones: the first remains of a bibliical personality ever discovered.